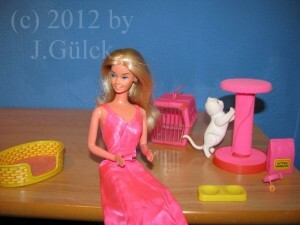 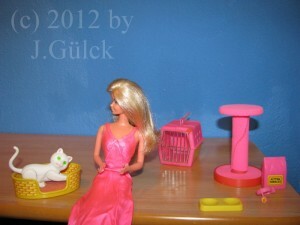 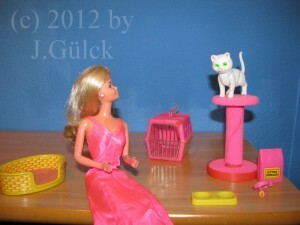 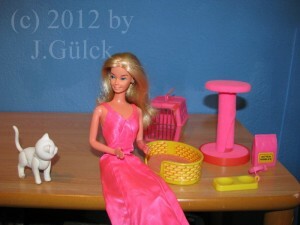 In the last week Barbie got a new pet. 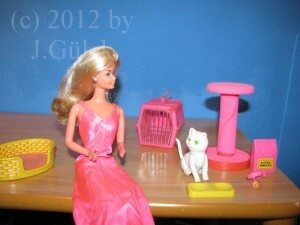 It’s a white cat called Fluffy. 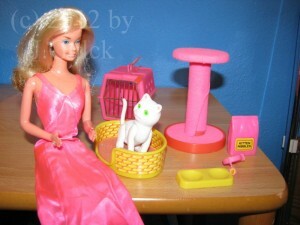 She was offered in the late 1980s and as you can see in the pictures she came with a feeding bowl, a neckband, a box of cat food, a carrier and a cat tree.